I’m a lover of all things kale, but lately, I’ve been thinking about green beans: where have they been? Why aren’t they as popular? Why is there a kale craze but no green bean fad? What does kale have that green beans don’t? Green beans are traced back to Peru. Migrating Indian tribes carried them throughout South and Central Americas. “Common beans,” or green beans made their way to Europe with the likes of Spanish explorers who traveled home. Green beans had a debut in the 19th century with their first appearance in French cuisines. Today we can find them at the Thanksgiving Dinner table in a delicious green bean casserole, in the grocery store fresh or frozen, and sometimes in restaurants as sides. The Journal of Agricultural and Food Chemistry found that green beans have anti-inflammatory properties and are excellent sources of antioxidants. Why aren’t we eating more of them? For over 2,000 years, wild cabbage’s cousin, the kale, has been cultivated in the Mediterranean region. It’s popular because it grows in the winter. Because it’s a wintergreen, it was seen in crops in Scotland and grows well in cold climates. Kale has been used as a garnish for years before it earned a spot as the main green in salads. “Borecole,” or also known as kale, is used today in smoothies, salads, made into chips, and are found in abundance and in variety in grocery stores everywhere. They’ve been featured in newspaper articles, blogs, and websites. People in the fitness world, food lovers, chefs, and celebrities swear by this magical green as their go to, but why? The daily recommended intake for healthy adults is about 2 ½-3 cups of leafy vegetables a day. It’s not easy to do so in the fast-paced world we live in. Being busy, we always look for the easiest way to get our calories or nutrients in. While we are making the shift to a healthier, nutrient dense options, it can be a real challenge to get those servings in every single day. So, eating more nutrient-dense items will surely help reach our recommended intakes of foods. Nutritionally, both green beans and kale are nutrient-dense options that are easy to handle in the kitchen and aren’t too expensive anymore. Fresh, cooked, without any salt or fat added, green beans come in at a total of 44 calories for a cup while kale under the same restrictions is at 36 calories. But comparing the two greens side by side, we can see why kale has been so popular lately. Kale has been known to be packed with cancer-fighting antioxidants. Kale contains more vitamin A, B6, C, E, and K than green beans at fewer calories making kale a competitive nutrient-dense option. Vitamin A is involved in immune function, reproduction, cellular communication, and vision. With kale containing 126% of our recommended daily allowance of vitamin A, it contributes considerable amounts of critical nutrition for our heart, lungs, kidneys, and other organs. It’s also a reliable source of calcium and potassium. Not only is kale nutritious, it’s a flavorful option available in different varieties. Green beans are also associated with the health-promoting carotenoid pigments, which is surprising since red and yellow vegetables are best known for this. The American Journal of Applied Sciences in February 2009 found beta-carotene, lutein, violaxanthin, and neoxanthin, the carotenoids, present in green beans. Green beans boast a hybrid of benefits from both legumes and vegetables. Like legumes, they’re useful sources of dietary protein and dietary fiber. Like vegetables, green beans are one of the top vegetables for vitamin C and K. If we really think about it, it is a bunch of little beans wrapped in a leaf! Green beans have also been linked to reducing the risk for chronic diseases like type 2 diabetes, high blood pressure, coronary heart disease and metabolic syndrome. When it comes down to kale or green beans, you can’t really go wrong. If we are having a variety of vegetables in our diet in sufficient amounts, we can reap the benefits that greens offer. We can see why kale has been so popular: its nutrient dense for the number of calories that it possesses. 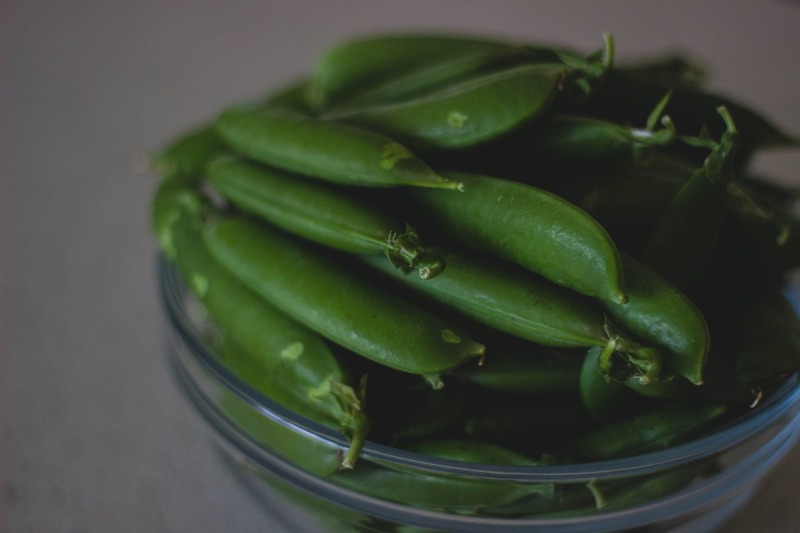 While kale is high in certain vitamins, green beans serve as a compliment to those vitamins with vitamins that kale lacks: folate, thiamin, riboflavin, and choline. Since they do well in complimenting each other, why not combine the two! The next time you find yourself in the grocery store wondering what to add to your salads or what you’ll bring to Friends-giving this year, try the recipe below to get more bang for your calories! It was a hit at my family’s Thanksgiving Dinner a few years ago. It a recipe from my father who just had some extra kale lying around and thought to add it to his famous green bean casserole. One of the dishes my dad made circa 2013 for Thanksgiving that shocked the entire family! My dad’s always been a can-of-cream-of-mushroom-soup kind of guy, so when we saw him slicing and sautéing, we all sort of gathered around to see what he was creating. Sauté the garlic and mushrooms in butter in a large pan for about 4 minutes. Add the chopped kale and sauté for about 4 minutes or until wilted. Stir in the broth, milk, salt, pepper, and flour with a whisk. Bring to a boil and remove from heat. In an oven-safe pan, add the green beans. Then carefully pour the mixture into the oven-safe pan, mixing the green beans, kale, and mushrooms. Mix in half a cup of gruyere, and sprinkle the rest on top with the fried onions. Put into the oven for about 10-15 minutes, or until golden brown and crispy. Bring to a friend house and enjoy! Mix oil, lemon juice, honey and red pepper in a large bowl. Next, toss kale in and season with salt and pepper to taste. Let the kale marinate for about an hour at room temperature, giving it an occasional toss to coat evenly. While the kale is marinating, Blanche the green beans: boiling for two minutes, removing from the water and dropping the green beans into a bowl of ice water. Pull out and drain. Dry the green beans and let them coo. Once the kale is done marinating, mix together the ingredients, salt and pepper to taste, and sprinkle with grated parmesan and serve. The oil, lemon juice, honey, and red pepper mixture double as your dressing! You can use other green beans to save some time. Sometimes I use the microwave packages of green beans and cook for ½ the time instructed, letting the bag sit unopened for the other half the time. This entry was posted in Cooking, Diet Tips, Fill Your Plate, Food, Food Facts, Green Matters, Grocery, Health Tips, Healthy Eating, Produce, Recipes and tagged Beans, calories, green, Kale, vegetables. Bookmark the permalink. One Response to In a World Full of Kale, Why Not be a Green Bean? I loved your blog. Can’t wait to try your receipt. Keep writing. Want to learn more.